The vibrant reefs and sea caves are in "good condition" a new report concludes. It has been nearly a century since the last remaining islanders of St Kilda left their homes behind forever. Life on the islands was so challenging, the final 36 residents were evacuated in 1930, ending thousands of years of human habitation. Almost 90 years since it was left to nature, a team of scientists returned in 2015 to investigate the St Kilda's sea caves. What they found was a thriving underwater world. 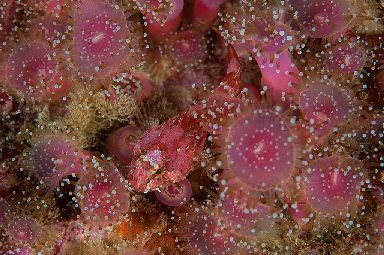 Sites like St Kilda can be incredibly diverse habitats, providing shelter to species such as sponges, sea squirts, fish and lobster. "I think the first thing you notice when you jump into the waters of St Kilda is just how blue it is," says Dr. Lisa Kamphausen, one of the Scottish Natural Heritage marine ecologists in the team. "You've got these really clear oceanic waters there...and it's just unbelievably colourful." 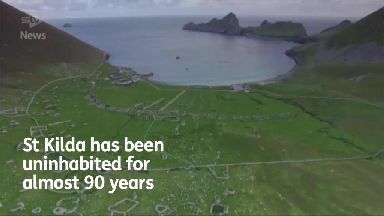 The purpose of the St Kilda survey was to judge the current condition of the site and to establish a baseline against which future assessments of its special features could be made. 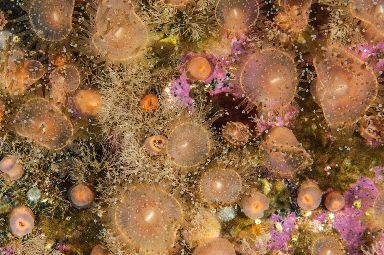 The scientific dive team was commissioned by Scottish Natural Heritage and led by Heriot-Watt University. A report into what the team found has just been published, including information about a new species of soft coral (Clavularia) they found in one of the St Kilda caves. The new species of soft coral is currently being studied by researchers. 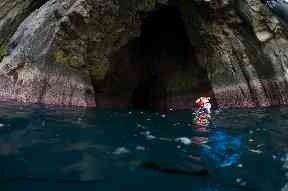 The UK has some of the most varied and extensive examples of sea caves in Europe. As a habitat, however, the caves are comparatively scarce, making their unique environment of particular value to researchers and conservationists. "Due to the relative inaccessibility of many sea cave systems, particularly around some of the outer Scottish islands, there is still much we don't know about these habitats. What we do know, however, is that they are almost always home to unusual and, very often, rare species." 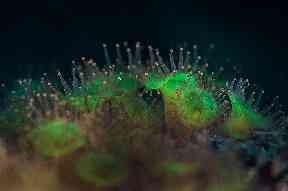 George is the team member behind the striking underwater photographs of the dive. In 1987, the archipelago's unique beauty, along with its biological and cultural importance, saw St. Kilda receive dual World Heritage status, making it one of only two-dozen global locations to be recognised for both natural and cultural significance. Monitoring areas like St Kilda is therefore crucial in helping to manage Scotland's marine protected areas. As Dr. Lisa Kamphausen says: "What we found is that the marine life there is in really good condition, which is fantastic. 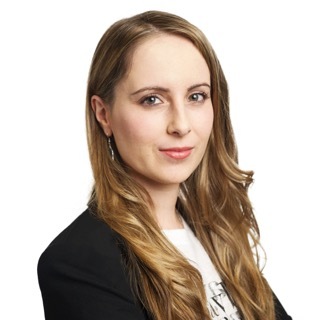 "We didn't find any suggestion of human activities that could damage the marine environment there either. "Our task now is to keep it that way and make sure it stays like this for the future." 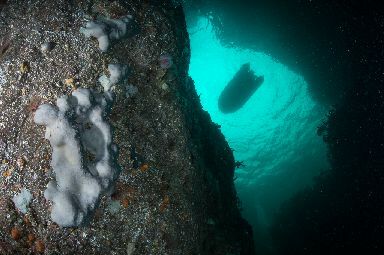 For more information on the St Kilda dive you can read the full report here on the Scottish Natural Heritage website.